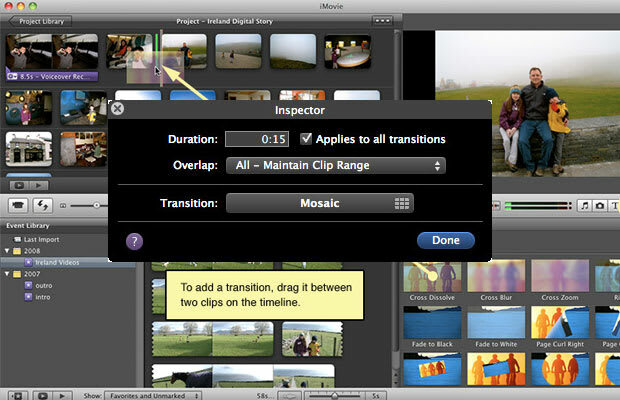 When making a new movie, you have the option to use any of the pre-made iMovie transitions. But if you want to get a little fancy and customize your transitions, you can. It just takes a few more steps. Open the Transitions menu by pressing Command + 4 (or clicking the Transitions button on the far right of the middle pane. Choose the transition you would like to use and drag it to the desired location on your timeline. Double click the transition to open the Inspector menu. Here you can input how long or short you want the transition to be.